here with the new baby and work and visits from family. Ok, I know, it's no excuse. Well, here is my New Year's resolution: to get back up to speed with posting regularly on this lovely little blog. 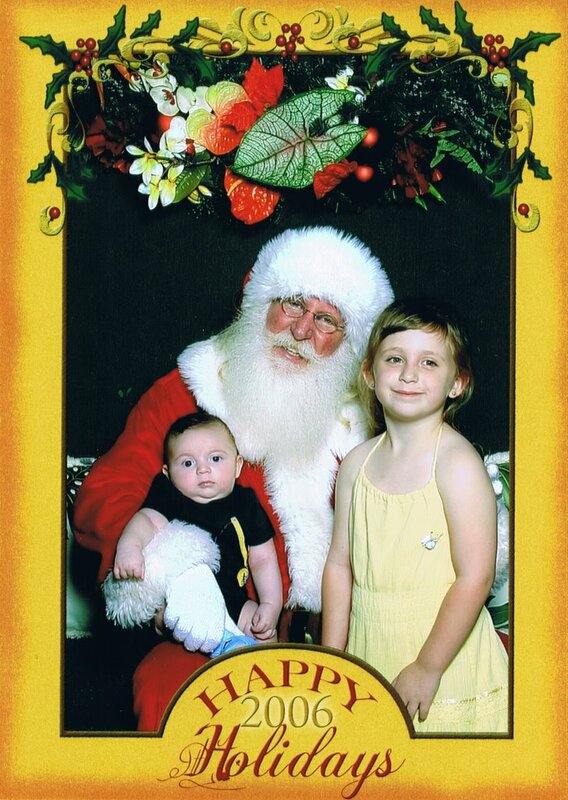 Anywho, today I finally got out to the mall to get the kids' picture taken with Santa. Too cute for words really. Alina was so nervous about meeting Santa and Drew of course was oblivious to it all. Here's one of the pics they took.